This paper will provide an overview of ways in which you can become more environmentally friendly with several “quick fixes” that can drastically improve the overall health of both you and the environment. 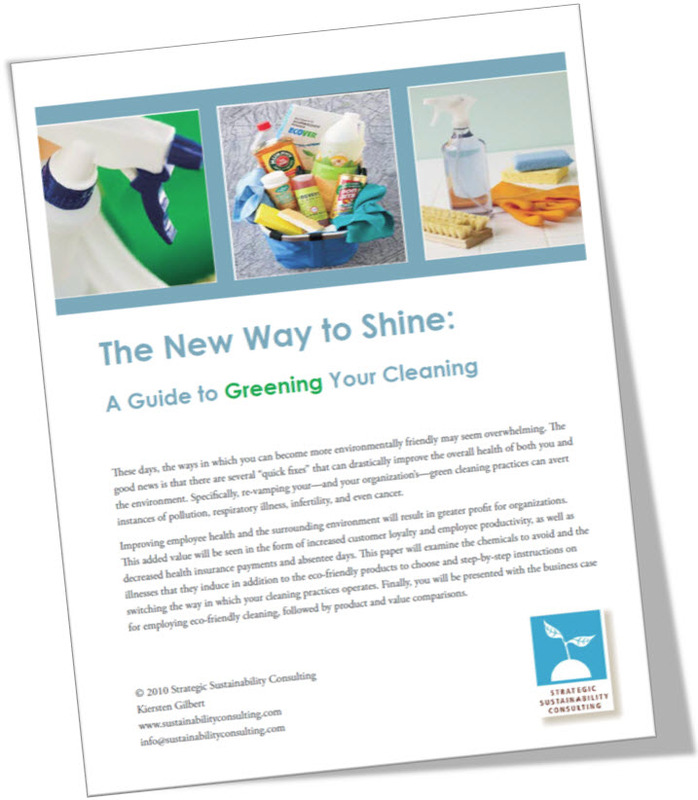 Specifically, re-vamping your—and your organization’s—green cleaning practices. Improving employee health and the surrounding environment will result in greater profit for organizations. This added value will be seen in the form of increased customer loyalty and employee productivity, as well as decreased health insurance payments and absentee days. Step-by-step instructions on switching the way in which your cleaning practices operates.